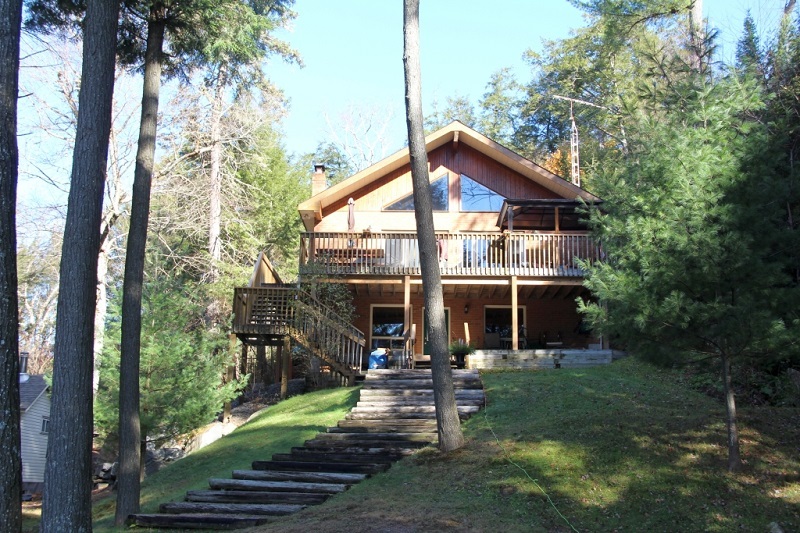 Enjoy this family-friendly all-season waterfront retreat on 3 acres of forested land on the Canadian Shield with 170' shoreline frontage. 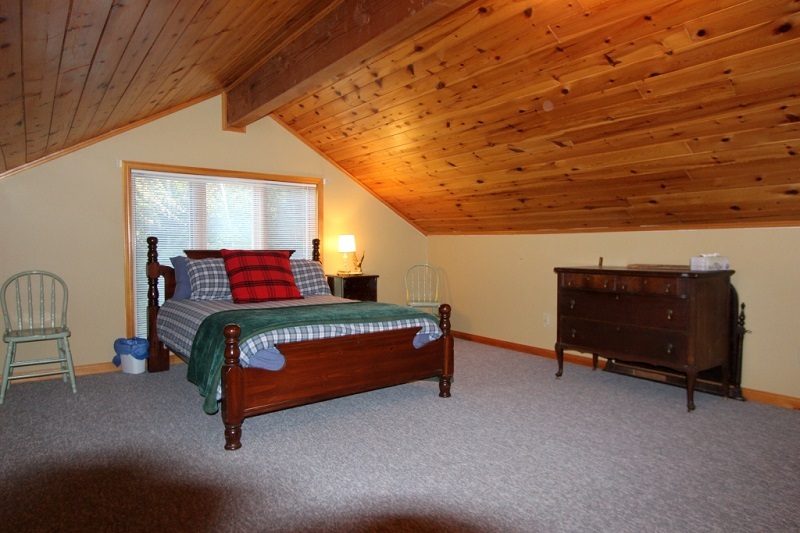 Sleeps 7 comfortably (king, queen, double and single). 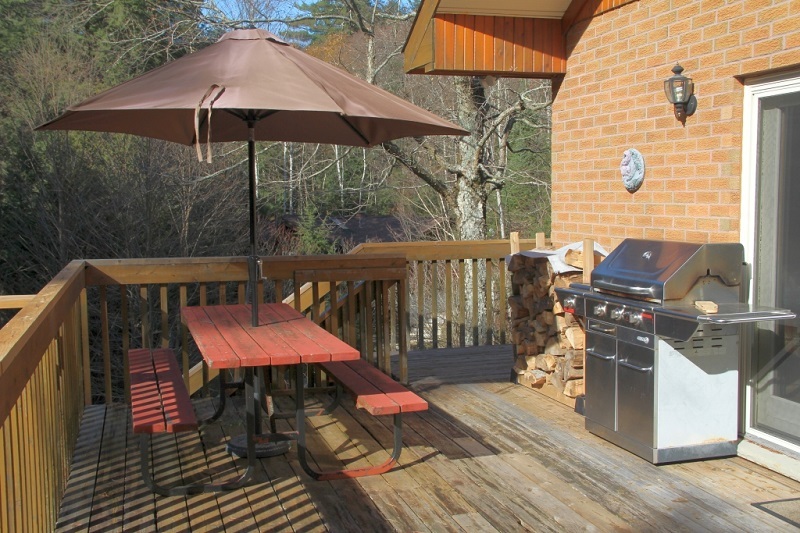 Indulge the chef in you in a fully equipped kitchen or BBQ on the upper deck. 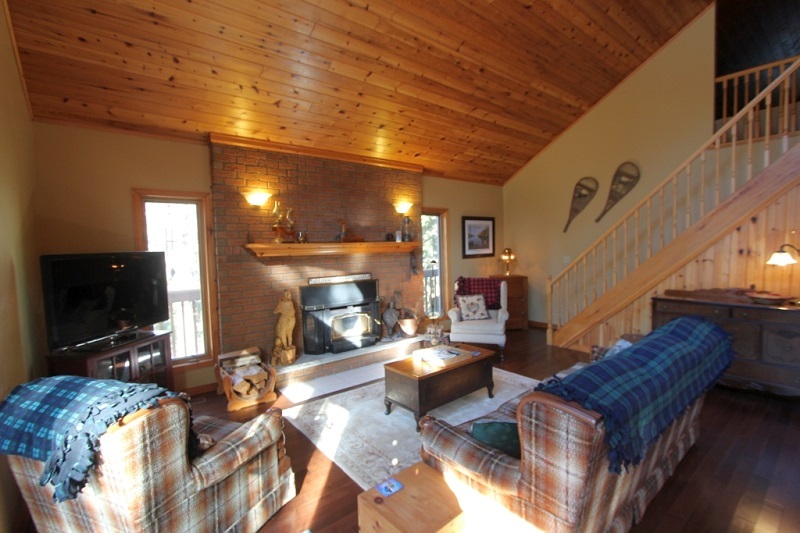 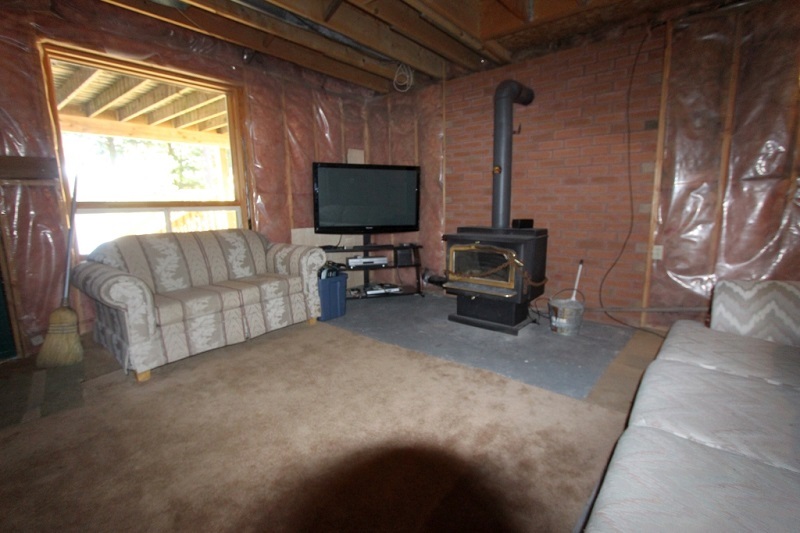 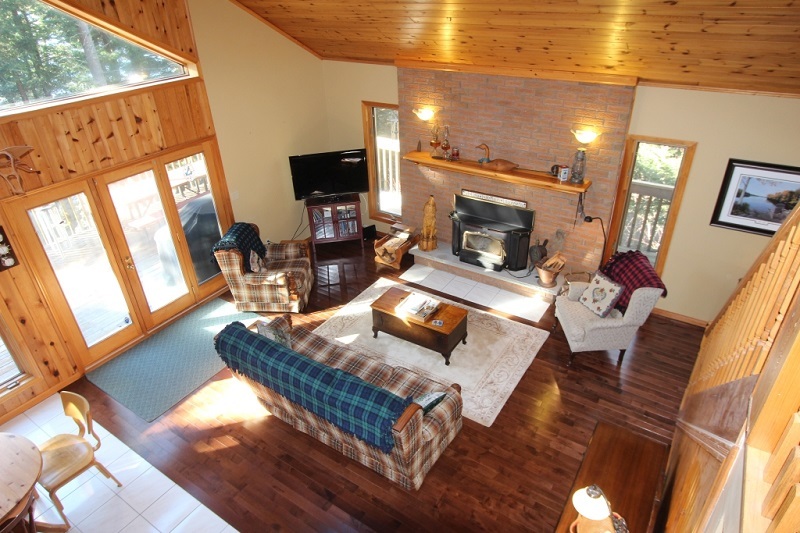 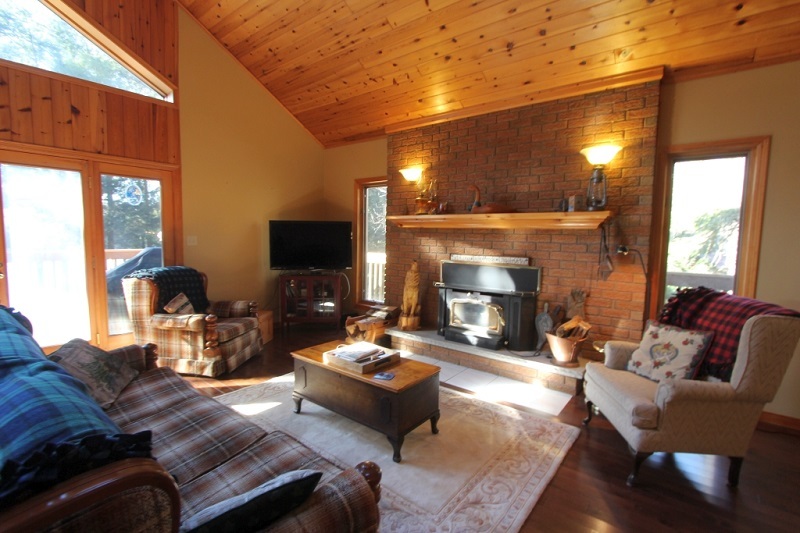 Feel the warmth of the fireplace as you sit in the vaulted great room with a view of the lake. 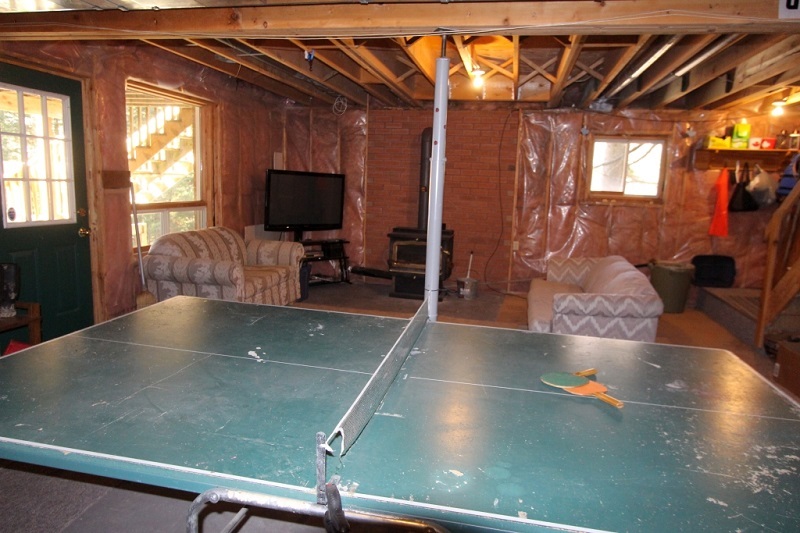 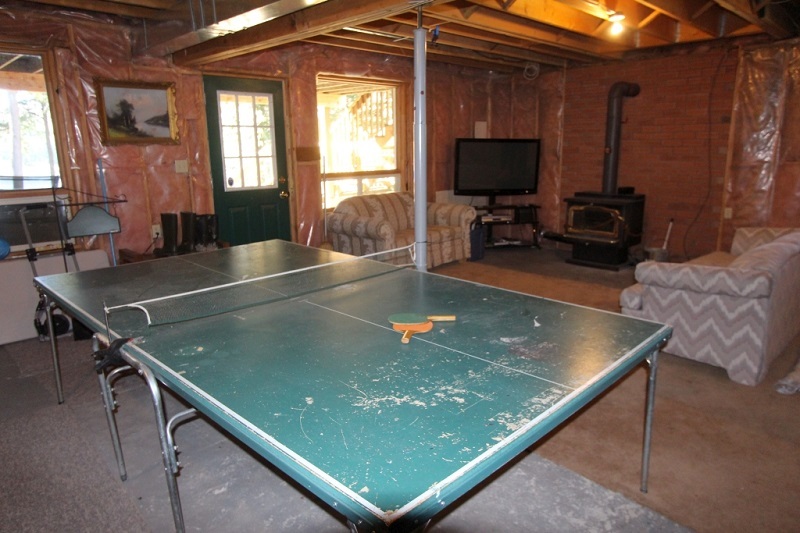 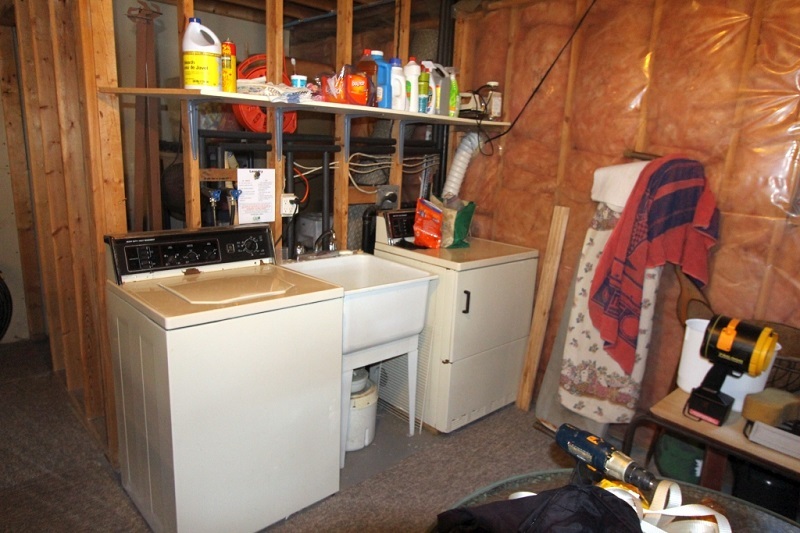 Enjoy satellite TV, VCR, DVD, WiFi, board games, darts and ping pong. 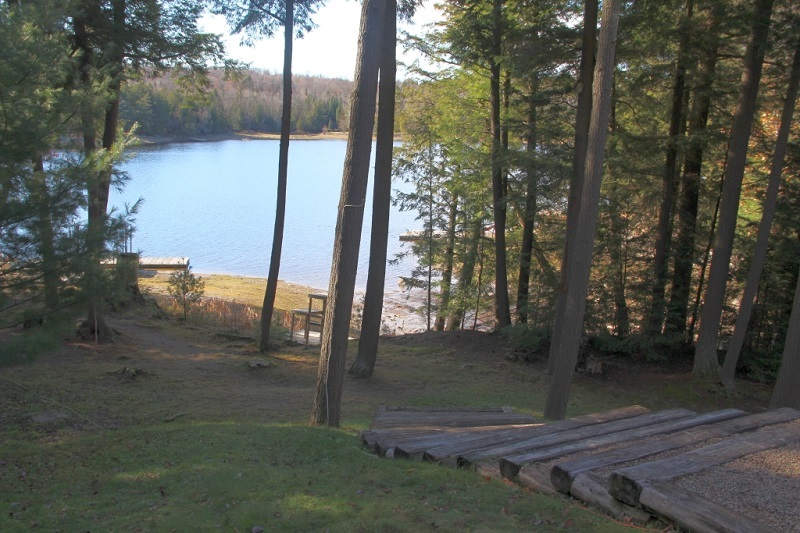 From the lower level walk directly out to the lake and relax with a beverage on the extensive docks to watch the sunset. 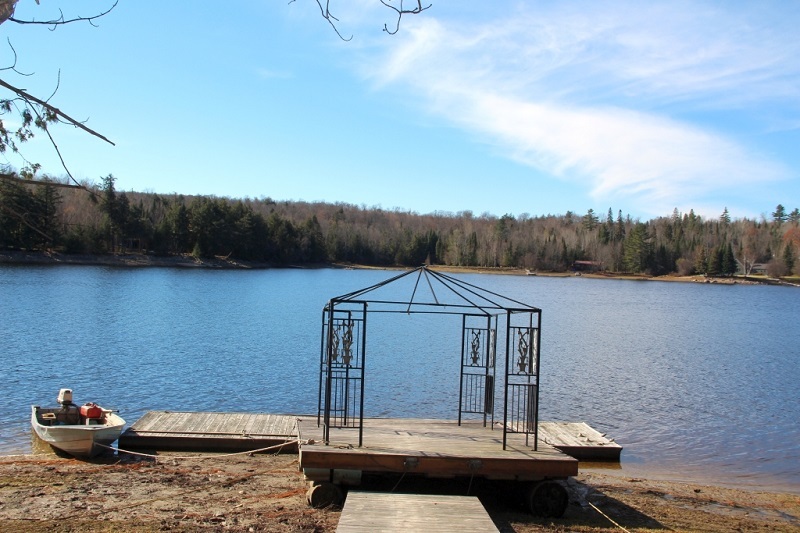 It’s the perfect spot to read, swim, boat or fish in the summer. 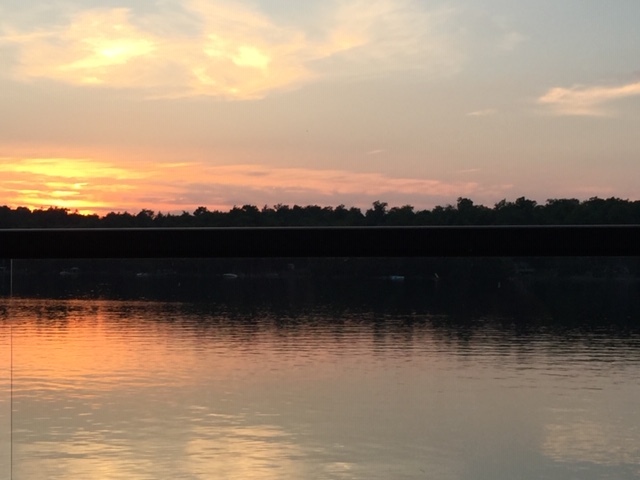 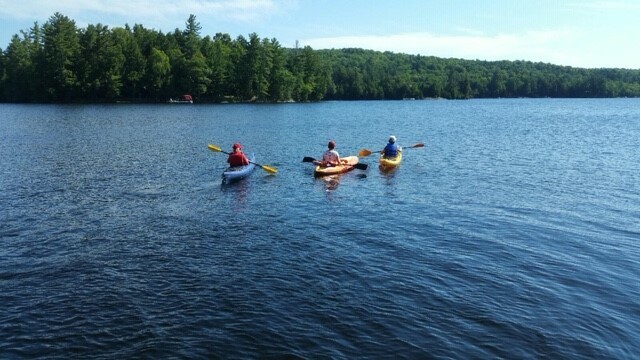 Enjoy shooting hoops or take the kayak or paddleboat out to experience the lake and its surroundings. 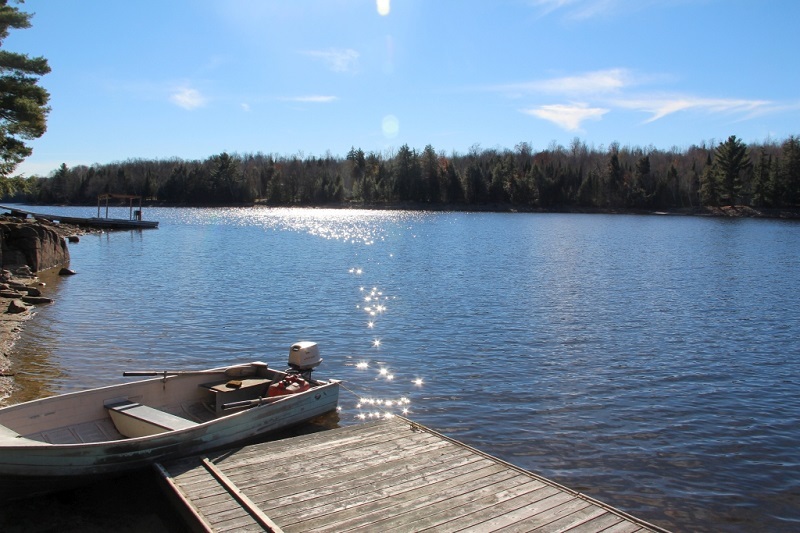 If you bring your own watercraft the public paved boat launch is 2 kms away on a paved road. 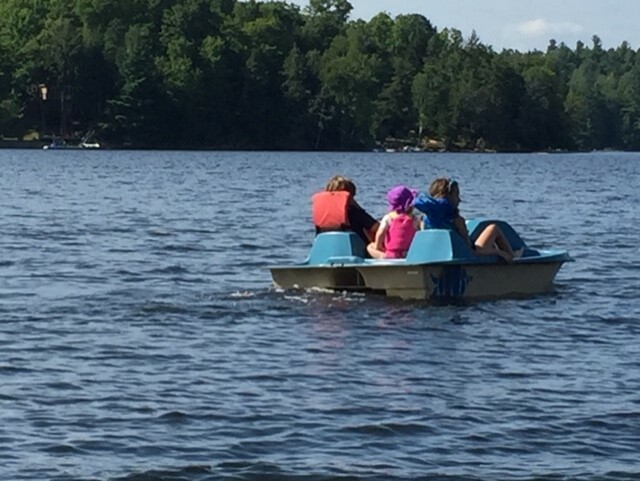 Boat rentals are available in Haliburton. 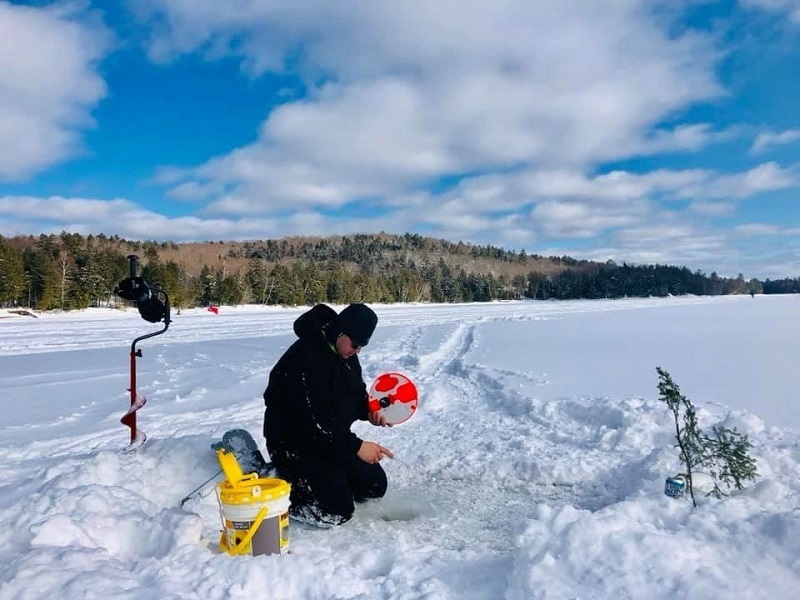 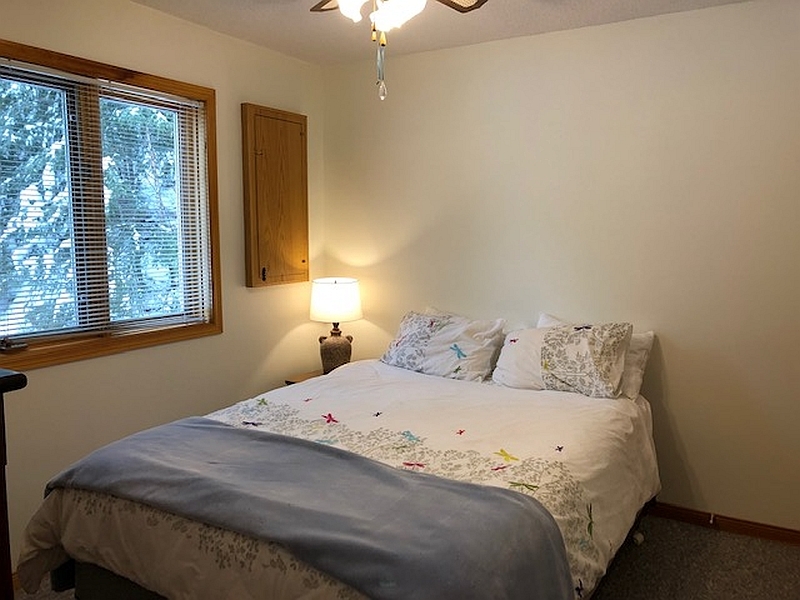 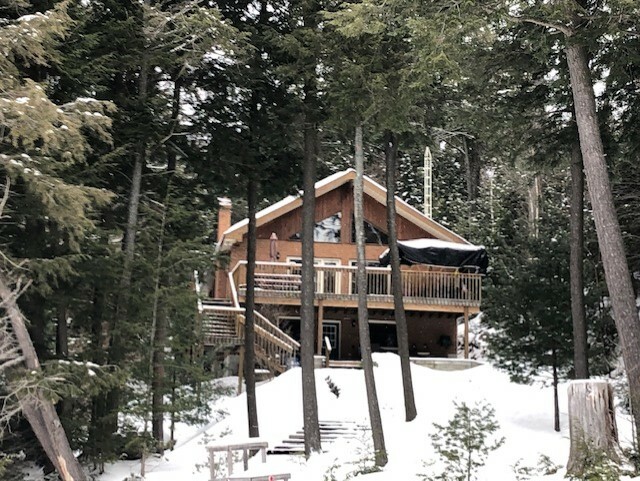 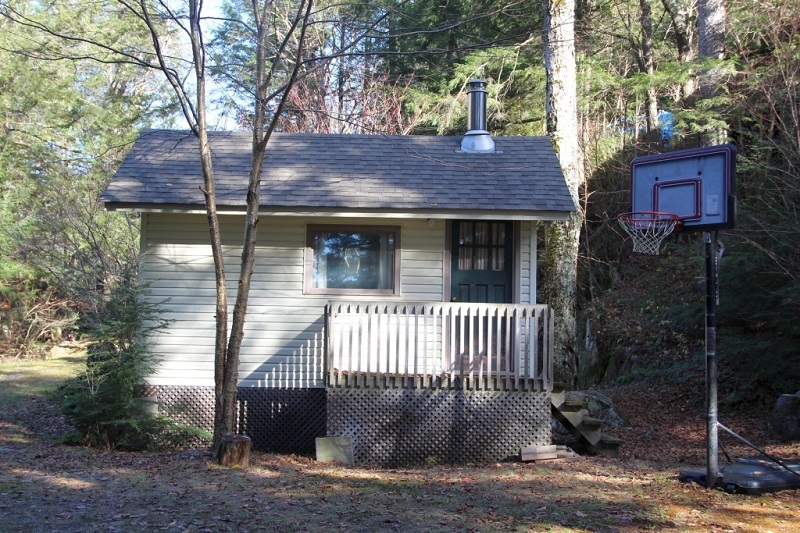 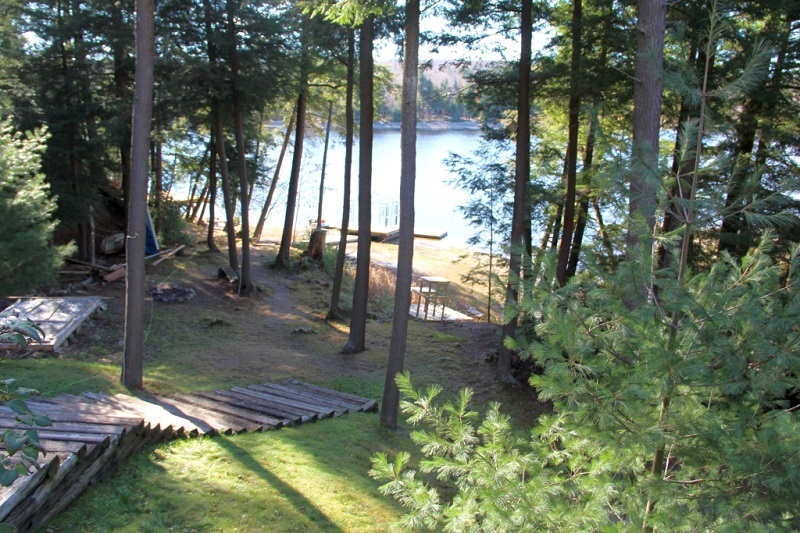 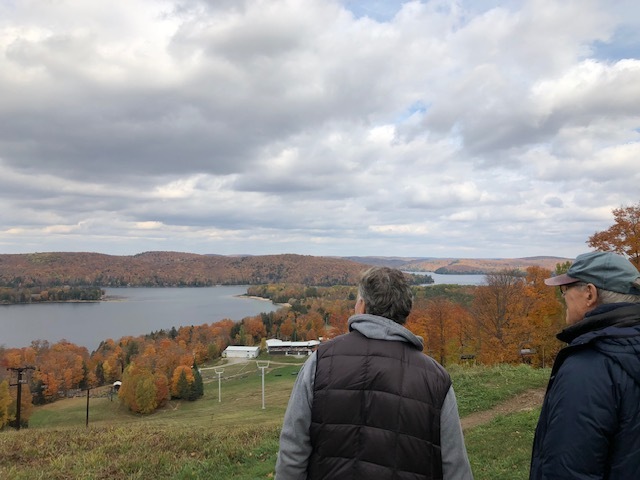 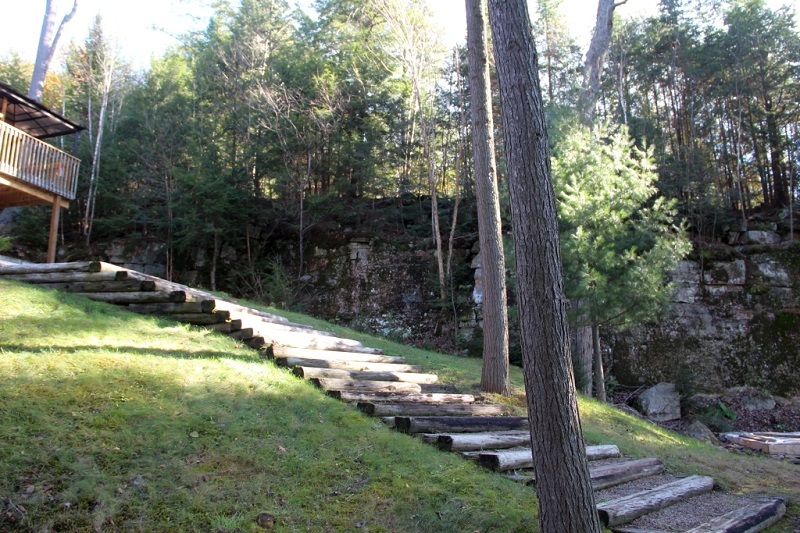 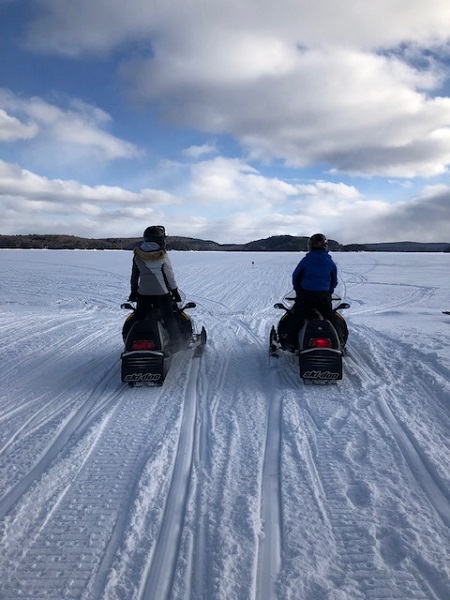 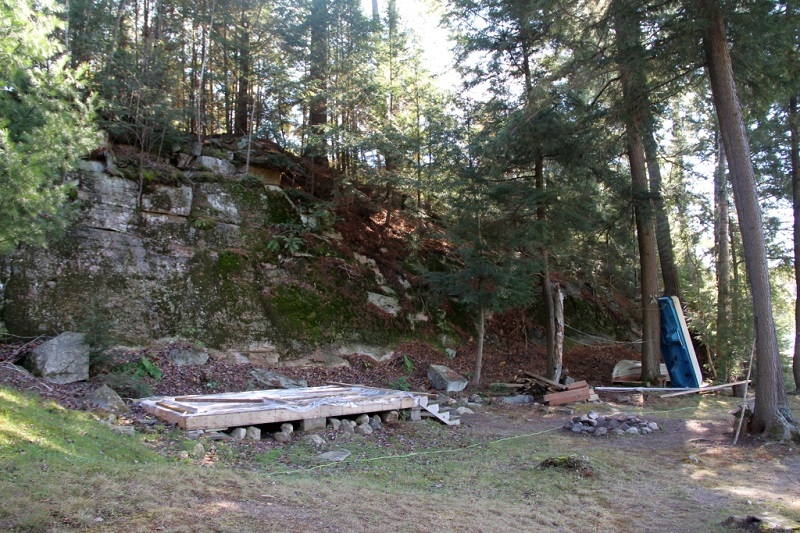 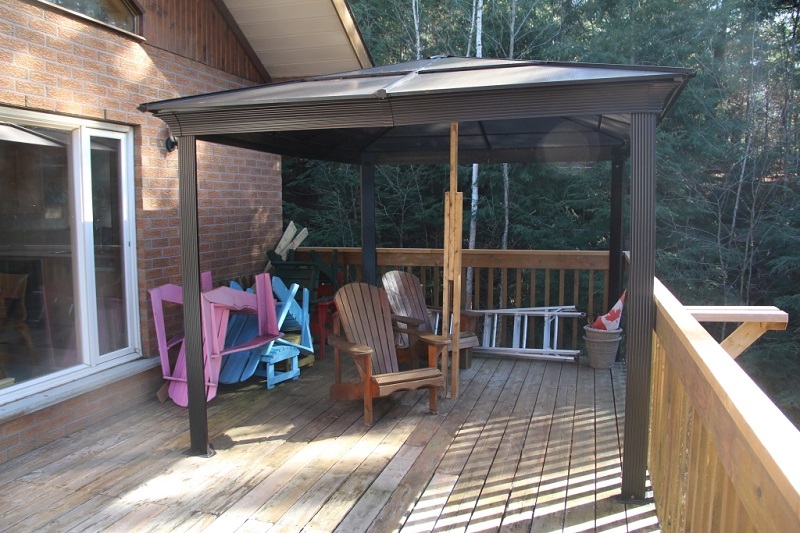 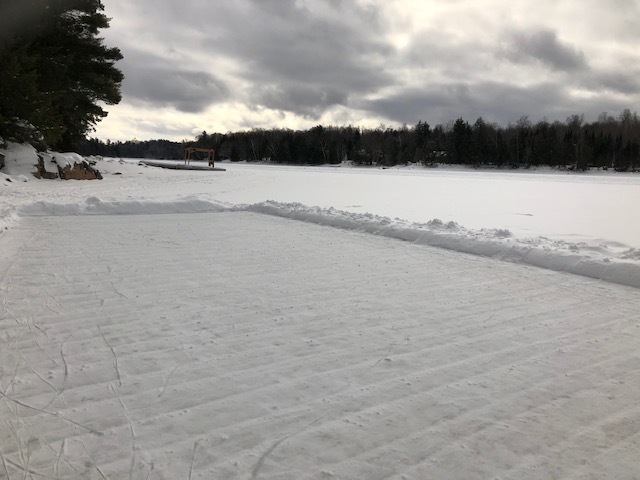 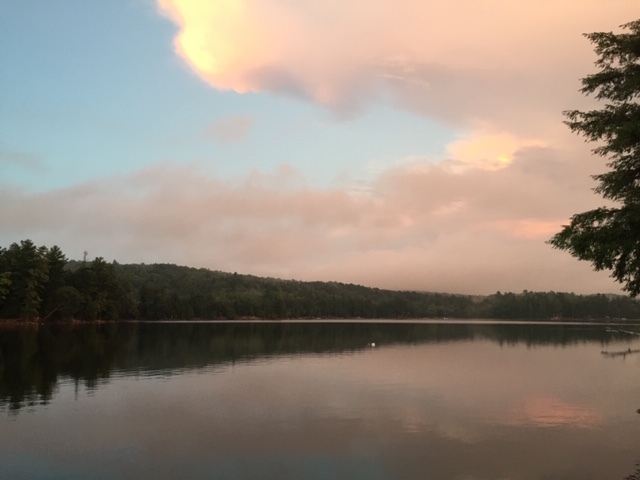 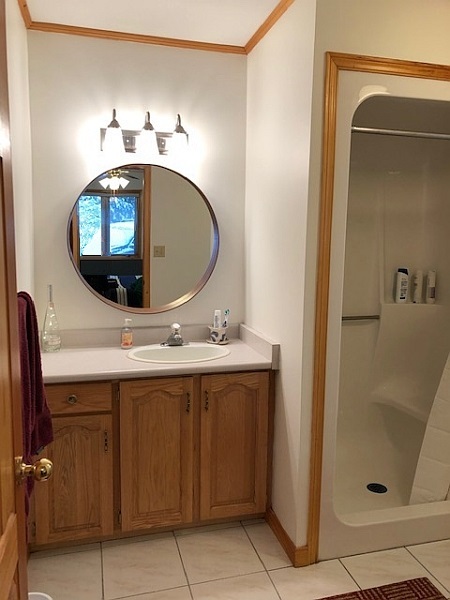 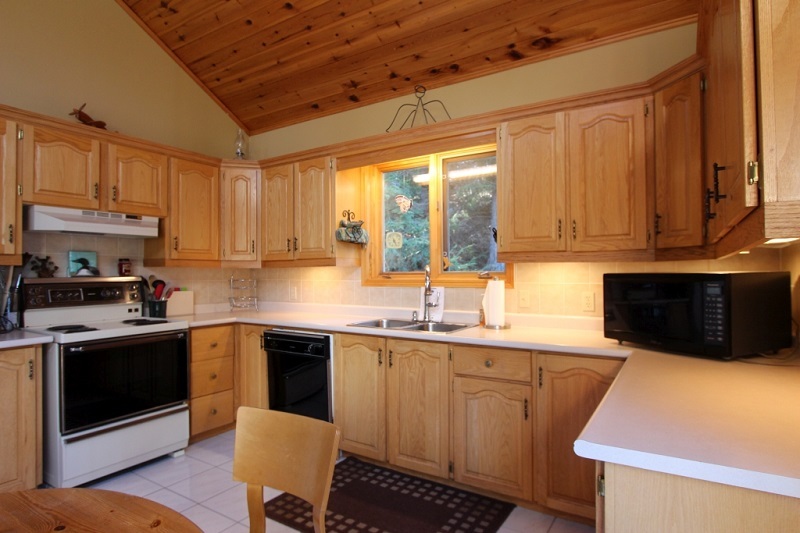 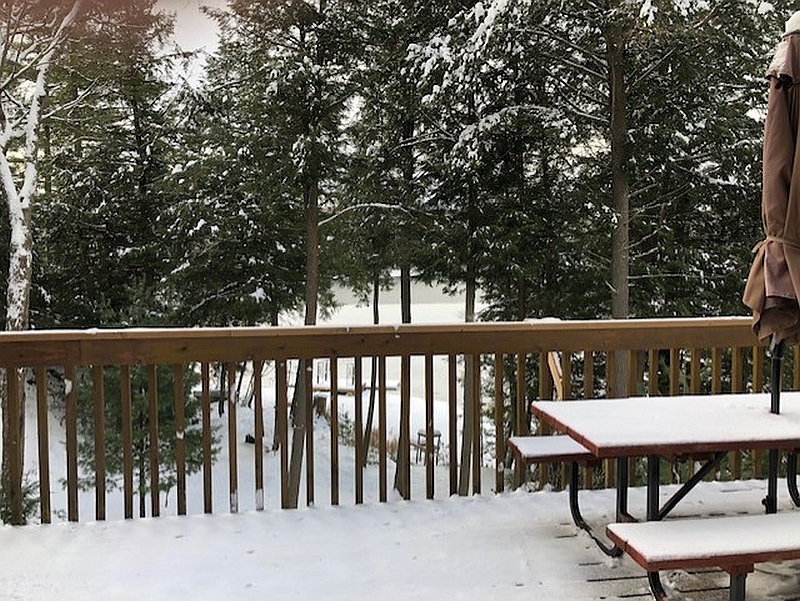 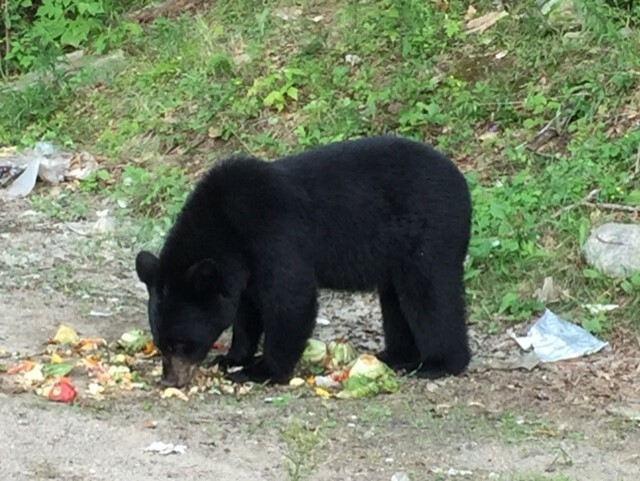 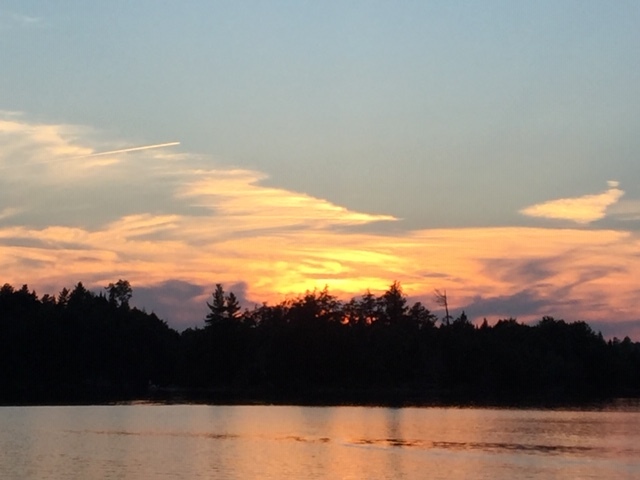 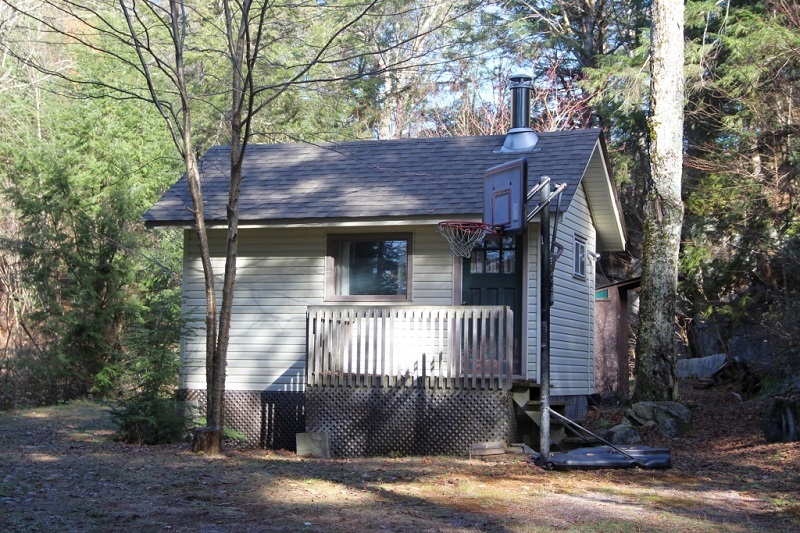 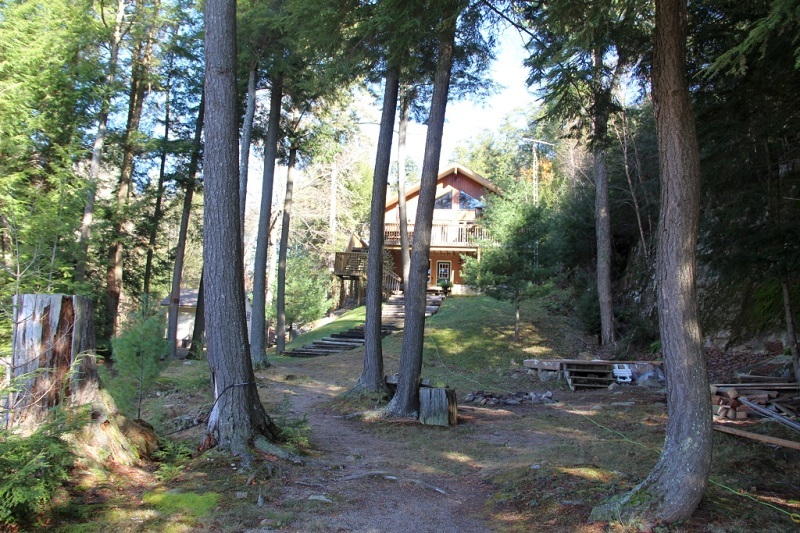 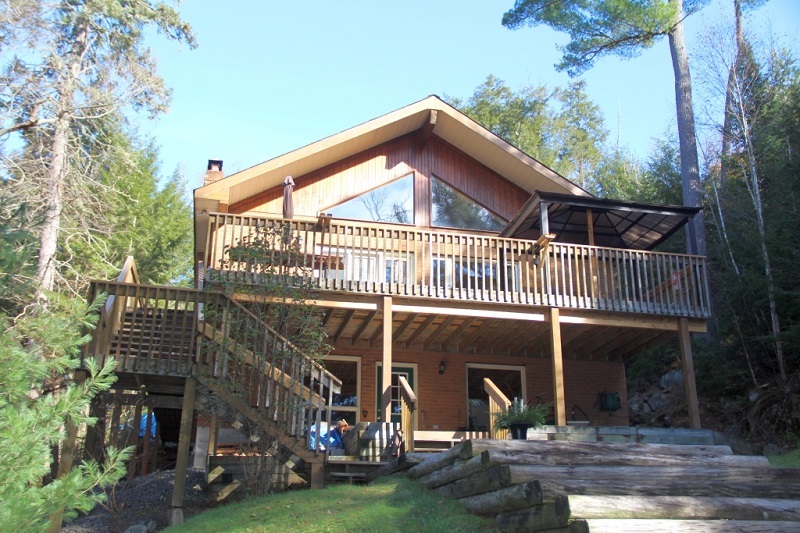 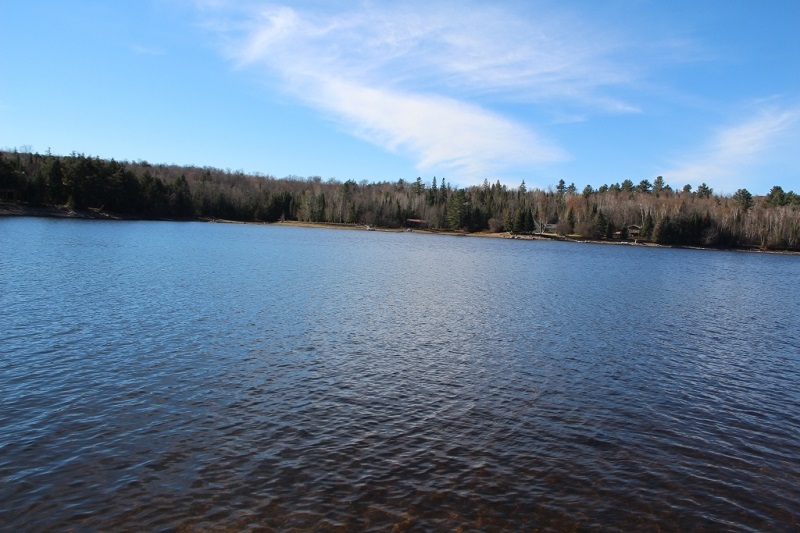 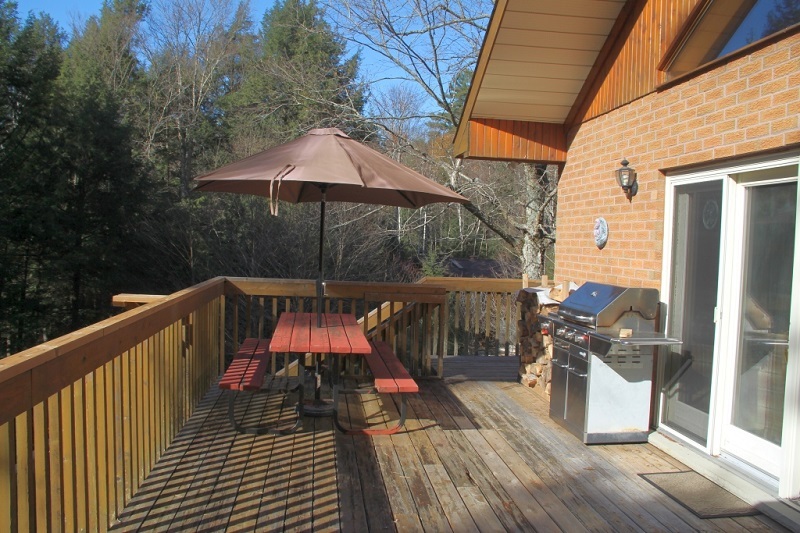 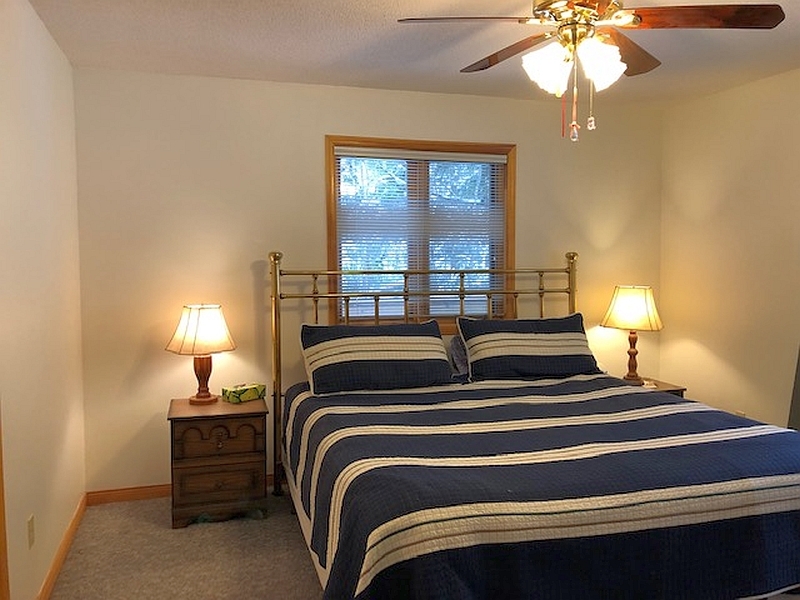 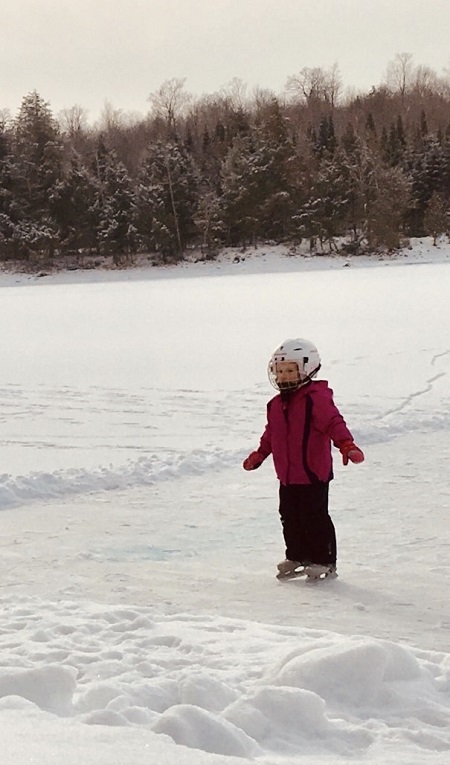 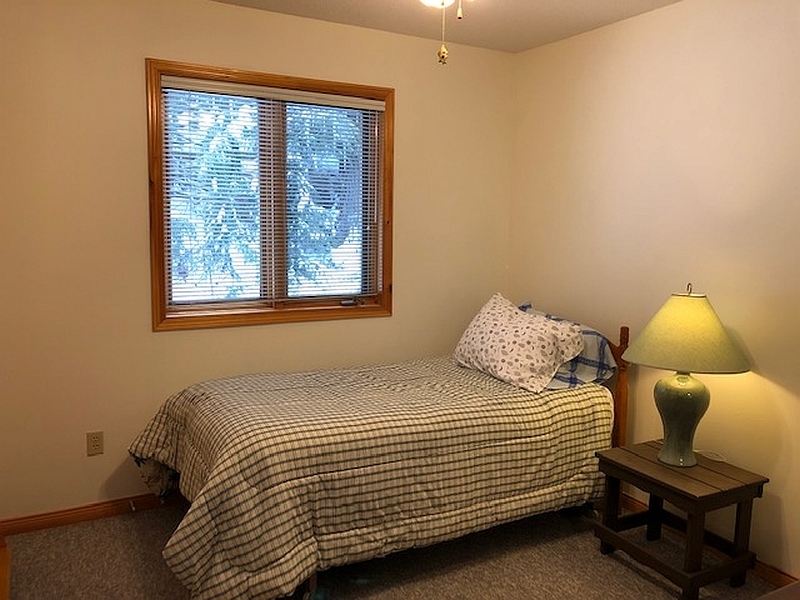 The chalet is located mInutes from the Haliburton forest which is known for its trails, hiking, biking, cross country skiing, and snowmobiling. 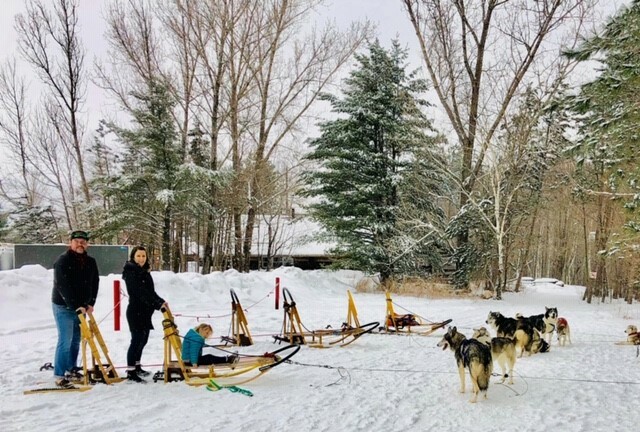 Take a dog sled excursion nearby! 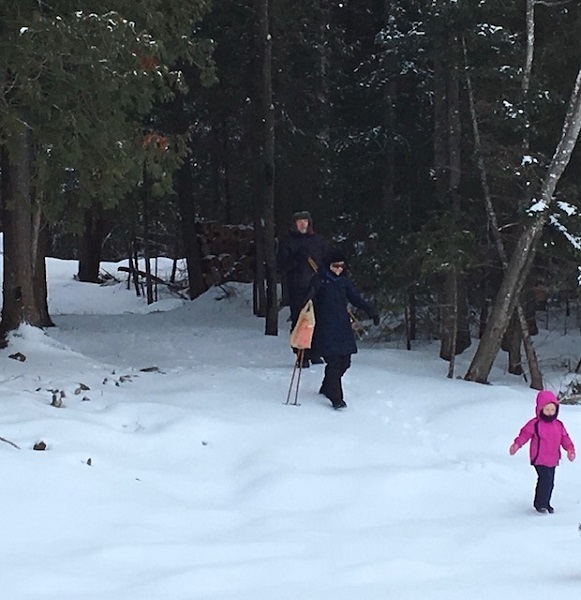 Ski at Sir Sam’s. 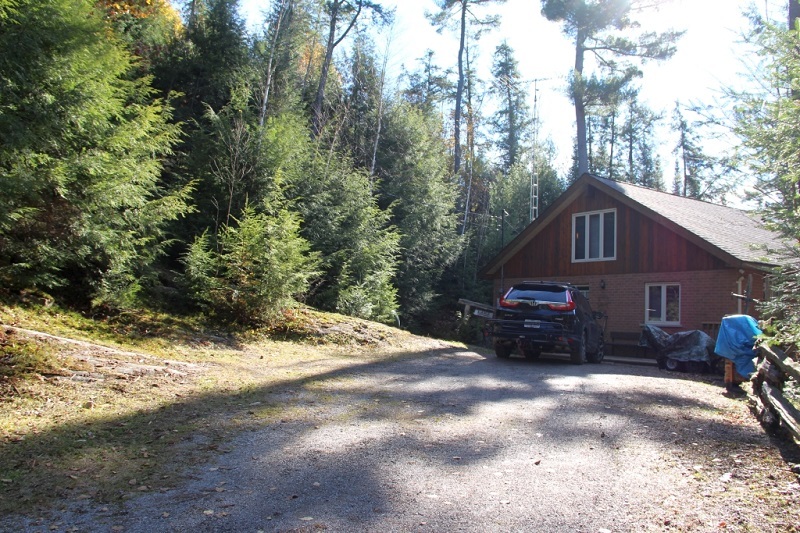 Visit the renowned Wolf Centre! 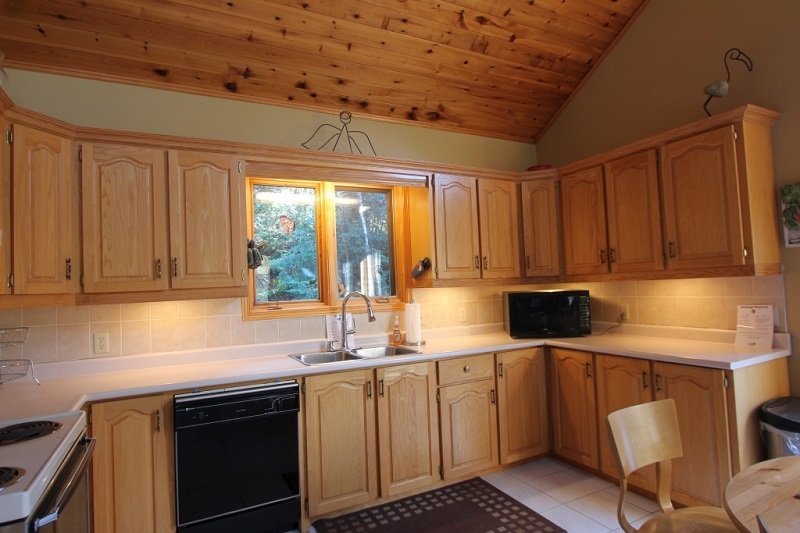 Haliburton is famous for its many festivals, and artisans with studios open year round. 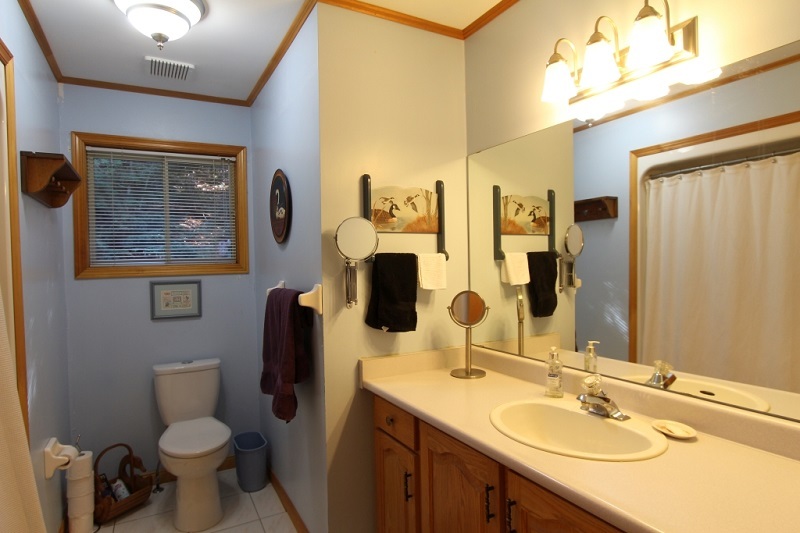 Golf courses and numerous shops and services nearby. 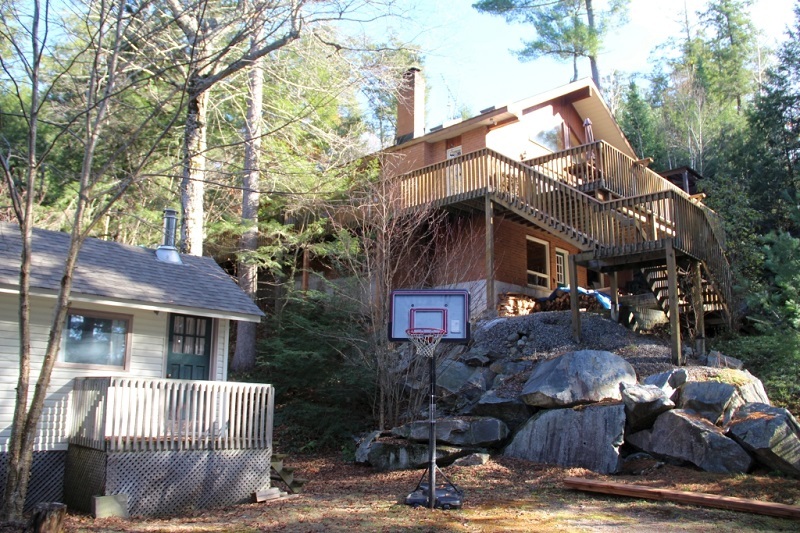 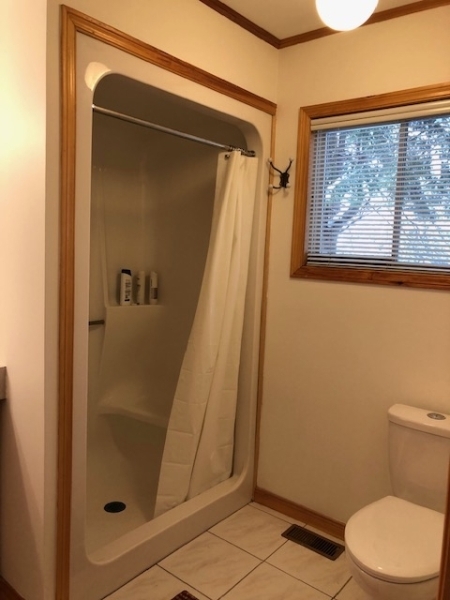 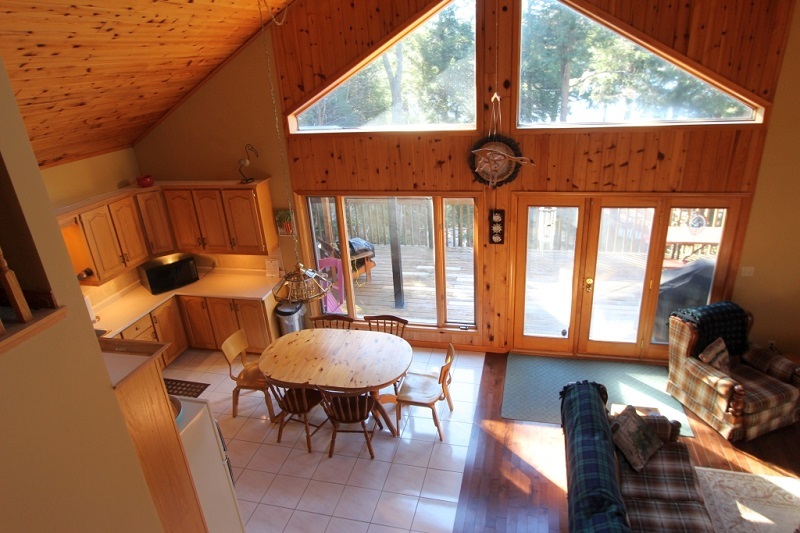 Immediate availability for Chalet on Little Redstone Lake. 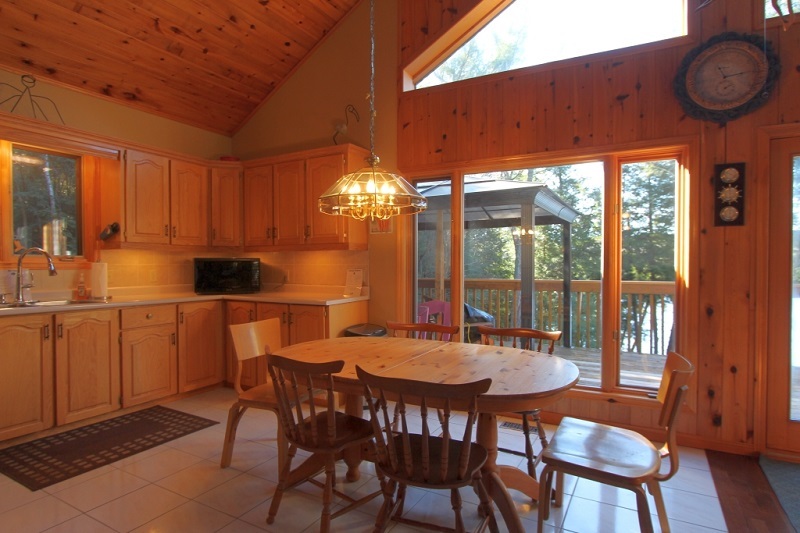 For later dates, please see the full Chalet on Little Redstone Lake Availability Calendar.